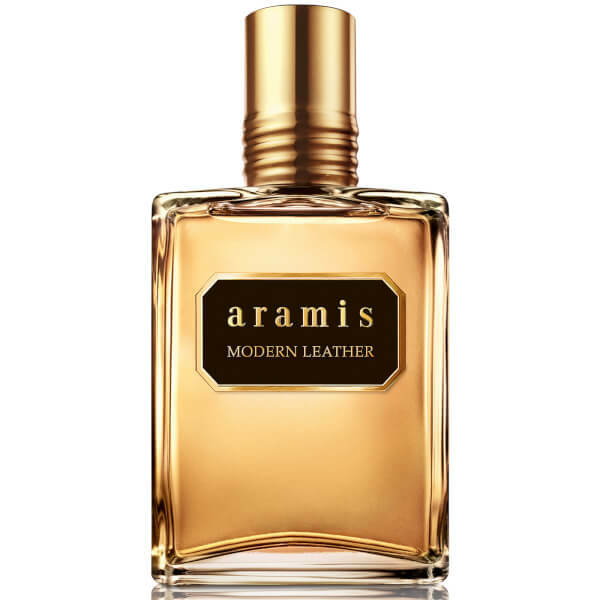 Experience the alluring scent of Aramis Modern Leather Eau de Parfum; a distinctly masculine fragrance with sophistication and timeless appeal. Opening with juicy Bergamot, fresh Basil and a hint of Thyme, the EDP is enhanced by aromatic floral notes of Geranium, Violet Leaf and Orange Flower, before settling on a warm, woody base built from refined Leather, Patchouli and Oakmoss. Housed in the brand's signature bottle. Top Notes: Bergamot, Basil, Thyme. Heart Notes: Geranium, Violet, Orange Flower. Base Notes: Leather, Patchouli, Oakmoss.